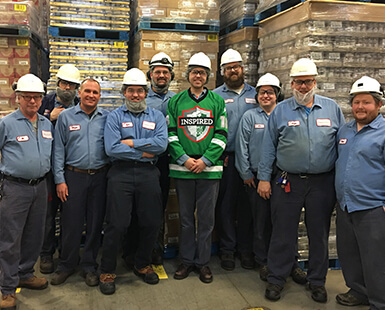 If you work for Hormel Foods, there aren’t too many things more exciting than being tapped to wear the prized company jersey. But Magali Cordova knows of at least one. Magali works as a team trainer in the human resources department at Osceola Food. 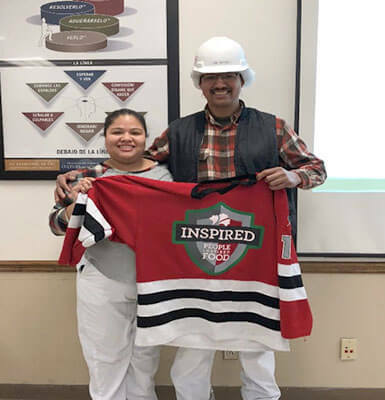 While likely still on a high after receiving her Pride of the Jersey award, she had the honor of passing the shirt to her father, Jose Martinez. Jose speaks little to no English. Magali was on hand to translate for him, explaining why he and his wife left their birthplace nearly 30 years ago. “It’s always been hard times in El Salvador. It’s not very safe. I wanted to give my family better opportunities. My plan was to come here, work hard … and go back for my family,” Jose says. Jose, who was in the El Salvadorian army and also farmed for a living, landed a job in an Italian restaurant upon coming to America. The owner was kind to Jose. He helped him achieve his dream. Meanwhile, Magali and her brother stayed in Usulutan, El Salvador, with their great-grandmother. Her parents saved enough money to bring them both to California, where they settled as a family of five. “By then, we had another brother,” Magali says. 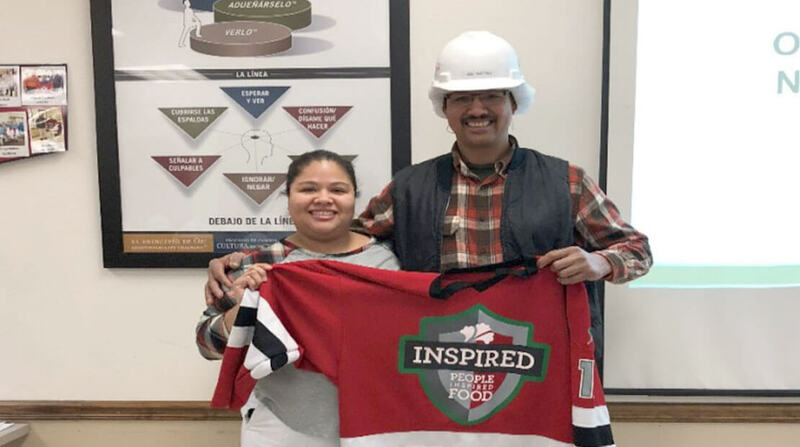 Jose and Hilda – Magali’s mother – moved the family to Iowa 20 years ago and found jobs with Osceola Food. It’s become somewhat of a family tradition. Magali’s brother Henry also works for Osceola Food, as did her grandmother, now retired. For her part, Magali started with Osceola Food in 2003, leaving a year later to finish college. Afterward, she moved to Austin, Minn., and went to work for Hormel Foods at its headquarters location. In 2012, she returned to Osceola Food and was named to her current position in 2013. 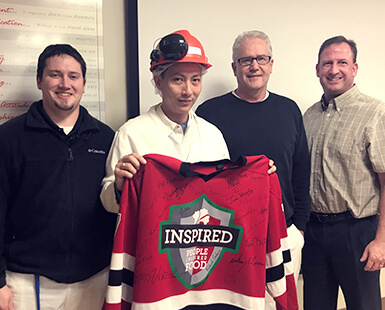 Magali focuses on safety and works with newly hired employees. She also makes use of her proficiency in Spanish by translating all of the plant’s safety manuals, newsletters and human resources communication from English to Spanish. When she was younger, Magali offered her translation skills to the local police department on a volunteer basis. “I think if people are in trouble, they need to understand why and what is going to happen to them,” Magali says, adding she likes helping people as much as she can. In addition to her work at Osceola Food and lending a hand at the police department, Magali is fond of cooking and spending time with her 10-year-old son, Lee. Jose enjoys tinkering with cars, refusing to take them to a shop to be fixed. He also is an avid cook, something Magali teases him about. “Back in El Salvador, I don’t think he ever walked into a kitchen. There was no time for it,” she says. He can whip up Italian dishes like nobody’s business, a side benefit of his first job in the United States. “His Italian cooking is better than his El Salvadorian food,” Magali says. 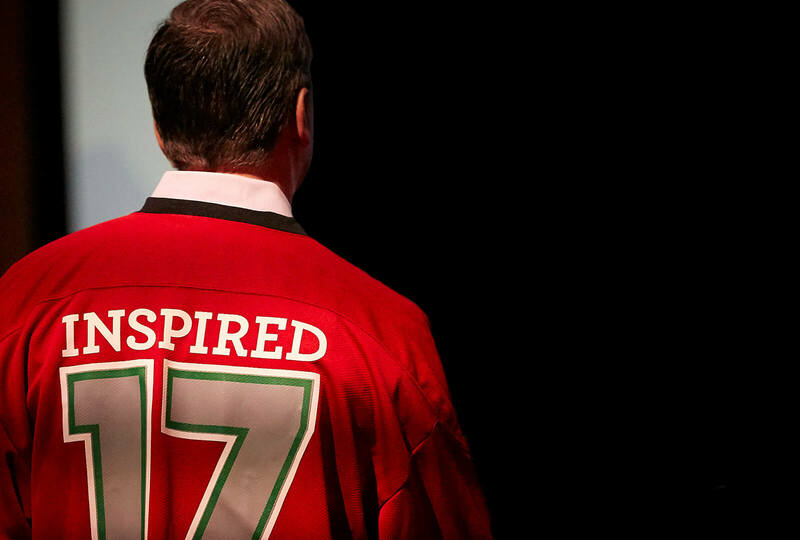 His culinary creations receive rave reviews, but that’s nothing compared to the pride he felt when Magali presented him with his jersey. I feel good. I feel honored. Looking back on his decision to bring his family to the United States, Jose believes it was a good choice. “I want to be able to give better opportunities to my family, for them to be in a safe environment, study and go to school. To do something I was not able to do. I want them to be somebody,” he says.